Harry Pretorius specialises in litigation and only litigation, with a special interest in Criminal Litigation. As a client of Harry Pretorius your contact with him is always immediate and hassle free because he receives telephone calls from his clients direct on his mobile phone. 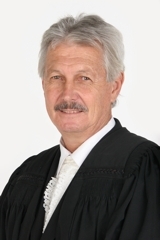 Harry Pretorius has gained a reputation for being a forceful and probing cross-examiner in court and because of his reputation as senior litigation attorney/advocate he has often been requested to handle litigation and court appearances in both High Court and Magistrates Court by other firms of attorneys. Don't call Harry Pretorius for general legal chamber work, such as collections, deceased estates or conveyancing. 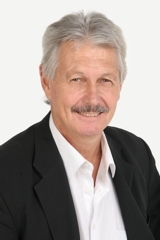 Do call Harry Pretorius if you need litigation to resolve claims, disputes, problems or criminal charges that might arise from all areas of law such as for example Contracts, Commercial Law Partnerships, Divorces, Copyright and Intellectual Property Law, Labour Law and Negligence Claims etc because he is first and foremost a litigator. Do call Harry Pretorius if you want a senior litigator, brave enough and competent enough to himself act as advocate in all courts to stand up against other teams of senior advocates without the added expense of you paying for an advocate as well. Do call Harry Pretorius if you want a litigator that is passionate about helping those in trouble and will stand at your side like your best friend and look after you from your first contact with him until he finds a way to resolve the injustice that you face. Do call Harry Pretorius if you are tired of litigators that are gun shy. Harry Pretorius has successfully stood head and shoulders above senior advocates in all the high courts and will travel to appear for you personally in any court right across southern Africa. 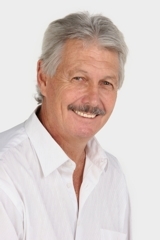 Harry Pretorius has practiced continuously as an attorney and senior partner in partnership and in his own practice from 1977 in both Pietermaritzburg and Pretoria, and now practises as such as Harry Pretorius Attorney in Centurion. Harry Pretorius can be instructed as attorney and to appear simultaneously as advocate in the High Courts of South Africa. His special field of interest is High Court litigation, however any matter of concern to you is of concern to him. Arrangements can be made with him for a free first consultation to obtain an opinion on your prospects of success and the way forward for your needs, because if it is not your fault, it shouldn't be at your cost. Harry Pretorius himself is solely at your service and is your sole contact for all your matters and concerns. Only Harry Pretorius and no one else deals with you and all aspects of your matters. This direct accessibility to Harry Pretorius ensures a close relationship and personal attention resulting in a consistent unconflicting approach to your matters. This ensures that you and harry pretorius speak with one voice and fullfills his motto that is : "to accurately convey his client's standpoint is paramount."